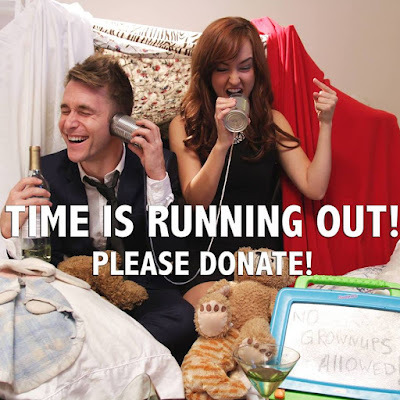 Serial Scoop: Help Hilarious Web Series #Adulting Hit Its Stretch Goal! Help Hilarious Web Series #Adulting Hit Its Stretch Goal! The series follows two best friends Max (Baur) and Faye (Tolmay) as they navigate life and love, all while staring down the barrel of ‘30’. Cheating boyfriends, rapidly slowing metabolisms and empty bank accounts are only the beginning. Episode 1 was warmly received and in response to the demand for more episodes Co Creators Baur and Tolmay started a crowd funding campaign so that they can complete Season 1 and get it to the fans. The series has met its original $15,000 goal, but now we need to help get them to their stretch goal of $20,000. If they hit their goal of $20,000, they will be shooting a special #Adulting Holiday episode. The Holiday in the episode will be decided by the donors. The campaign is over tonight at 10pm PST, so there isn't much time left! You can watch the first two episodes of the series below. Endorse the show's Kickstarter here to help the cast and crew reach their stretch goal.